It looks like Microsoft is planning another Windows Phone Event, after the recent launch of Nokia’s new Windows Phone devices in London, this new event will take place on the 7th of November in New York. 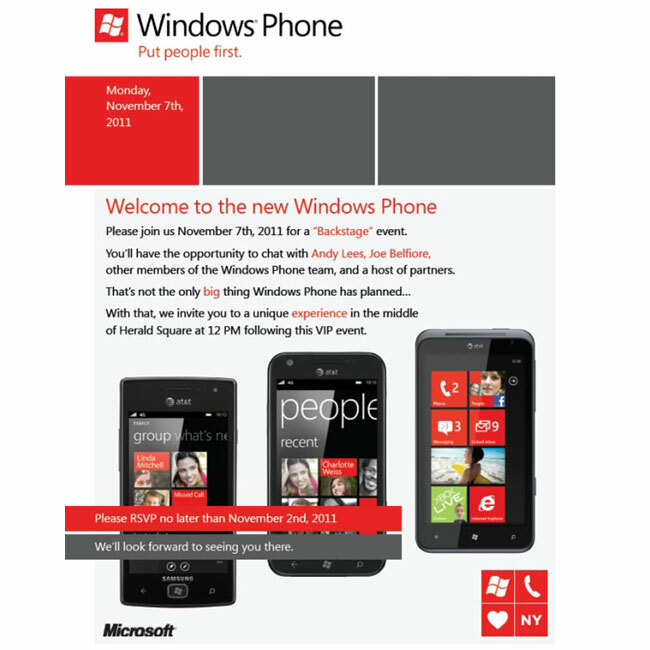 The Invite shows off three Windows Phone smartphones, the Samsung Focus Flash, the Focus S and the HTC Titan, which are expected to be made available on US mobile carrier AT&T. As soon as we get some more information on what Microsoft plans to unveil at their 7th of November Windows Phone Event we will let you guys know.